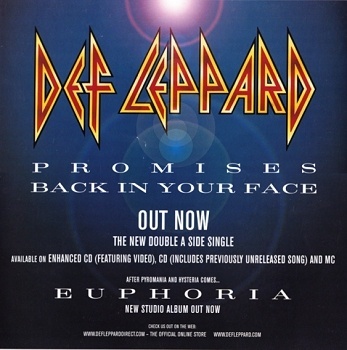 Def Leppard's classic single Promises/Back In Your Face was at Number 1 on the rock chart and 41 on the main UK singles chart on this day in 1999. The first single to be released from the Euphoria album. The single had been released on 12th July but came almost six weeks after their live TV appearance on TFI Friday which didn't help its chart position. It entered the Top 100 chart on this day at its peak position of 41. In total it spent only two weeks inside the Top 100 and fell to Number 88 in week two. The first ever Double A-Side single to be released in the UK alongside 'Back In Your Face' which took top billing on the second of two CD singles. 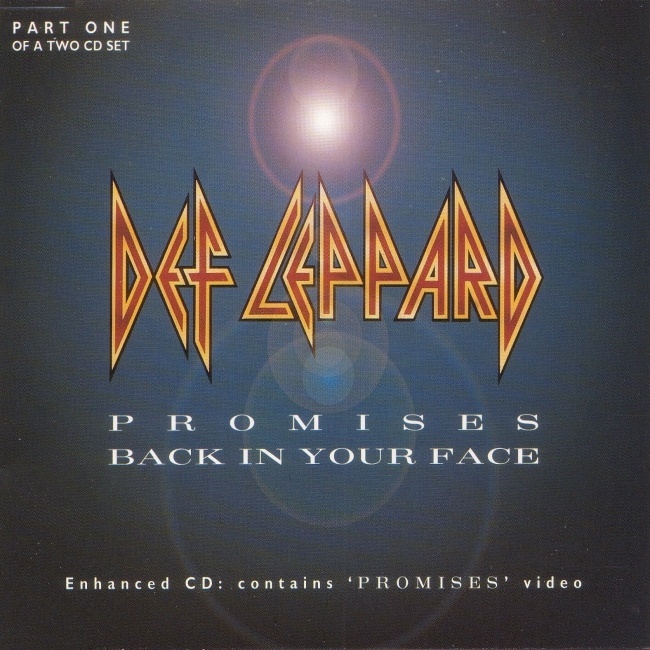 Unlike 'Promises' no promo video was made for 'Back In Your Face' although it was taped for Top Of The Pops (alongside Promises and Goodbye). All three songs were never aired due to the low chart position. At Number One in this week was Ricky Martin with 'Livin' La Vida Loca'. 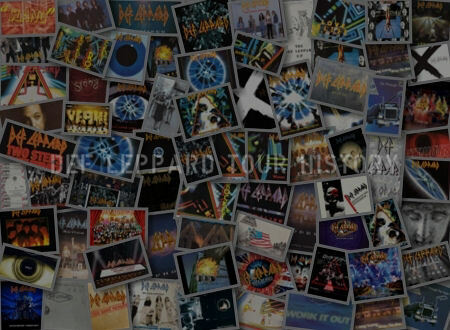 On the same day the single entered the UK Rock Chart at Number One following on from the three Number One Rock singles in 1996 from the 'Slang' album. In all it spent three weeks at Number One, 15 inside the top ten and a total of 42 weeks on the chart. 05 - Vengaboys - Boom, Boom, Boom, Boom!! 02 - Offspring - Why Don't You Get A Job? 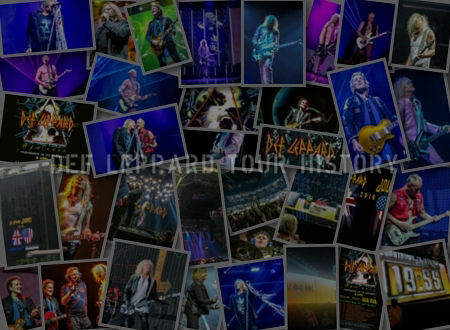 "The one thing we did like about Promises is that for a four minute song it's instantly Def Leppard. 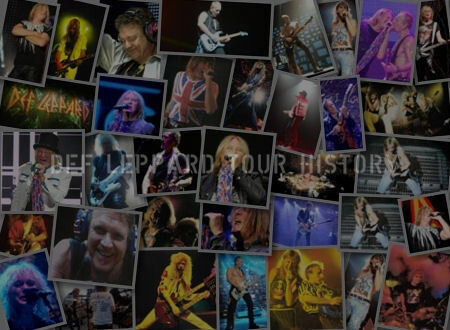 It's got all the ingredients of how people remember Def Leppard and how I think how people want to hear Def Leppard." "As we were plowing on into the album, we got a couple of songs on the go that we pretty much met a dead-end with. Collectively the five of us and Pete, had dried up. We'd get them to a certain level and then hit a brick wall. No matter how many times we tried to drive around this thing, it was always in the way. So we did what was the best thing to do which was get Mutt involved again. Because he understands and knows how to draw out the best out of us. And he said he'd love to." "He was actually busy at the time but he freed himself up a couple of weeks after the first initial phone call. We sent him a tape of what was the backing track of Promises and he played with it over at his studio. And over the phone and fax he came up with these great melody and lyrical ideas. And that was how Promises was done then. We actually asked whether he'd like to physically come over and hang with us in the studio for a few days. And he did a month later. He came over to Dublin for an extremely long weekend. During that four-day period, we came up with that song All Night." 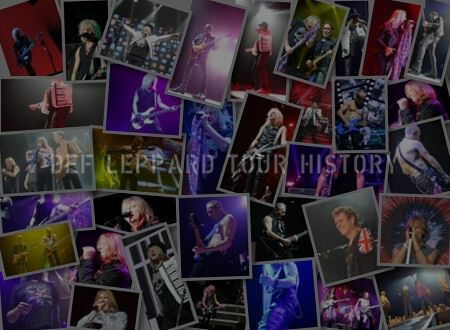 Def Leppard Tour History - Fan Archive. Since 2001.